1. We accept order for same day delivery. There is the express fee for some small destinations if you order for the same day delivery. The additional express fee will be added to the initial sum of the order. If you order flowers to rural areas on Saturday night or Sunday, please be prepared that your order might be postponed until Monday or we may request additional delivery fee. We'll contact you on phone or by e-mail if such issue occurred. 2. We accept orders for Saturday and Sunday delivery. Sunday delivery is possible if you order before 1 p.m. recipient's time. If you need an urgent delivery same day on Saturday night or Sunday, please call us to be informed of the possibility. - Severe Weather and Other Acts of God: If delivery is delayed because of inclement weather or delivery becomes unavailable to a particular location, we will do our best to inform you of the problem and make alternate arrangements for delivery if at all possible. 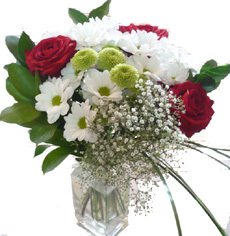 - Delivery Refused by Recipient: If the intended recipient refuses to accept the delivery, we cannot guarantee a refund if the package contains perishable goods such as flowers or food. - Recipient Absent at Time of Delivery: If the recipient is not available at the time of delivery, and depending upon the delivery location, the delivery person may leave a message or secure the gift in a safe place for the recipient to retrieve when they return. Perishable goods can be harmed by extreme temperatures, and flowers in particular need to be cared for promptly upon arrival. If you are unsure that someone will be available to accept the delivery when it arrives, please use the "Comments" field on the order page to specify a neighbor or other secure location where your package may be left. ASAP flowers cannot be held responsible for packages damaged by exposure or neglect after delivery has been attempted. 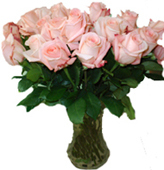 - Incorrect or Incomplete Address Provided: ASAP flowers cannot be held responsible for deliveries to incorrect or incomplete addresses once the customer has verified the receiving location as correct. If the recipients address is incorrect and the delivery was attempted but refused, the address can be corrected and delivery reattempted for an additional fee. If we received an incorrect address and the delivery was made, the customer assumes responsibility for the entire purchase. Incomplete addresses, particularly those intended for delivery to offices or apartment buildings, can substantially delay delivery. We will attempt to contact you as soon as we are notified of any difficulty with delivery, and if you cannot be reached, we will attempt to contact the recipient to request a corrected address. There may be additional fees if delivery must be reattempted. The condition of perishable items cannot be guaranteed in any of the above circumstances. - Packages Left in Offices or Mail Rooms: Products sent to businesses or buildings where deliveries must be made to a central mail room or receptionist may be delayed internally. Generally, these are inhospitable environments for perishable goods. Please ensure your recipient knows to expect a delivery so that your package may be cared for as soon as possible upon arrival. 4. The more contact recipient's information you provide the better is the result! If you provide us with the phone and address of the recipient then we give you 100% that your order will be delivered on time. 2. be aware that the delivery maybe postponed until we can check exact recipients contact information, reach him/her and provide the delivery on time convenient for the addressee. 5. If you do not get any reply from us in 24 hours, that means that we DIDN"T receive your letter. Please, resend it or call us regarding your question or inquiry. - the online status of your account. Please, log into the site with your e-mail and password and click My account where you may find the activity for the whole membership period. 7. We usually confirm the order the next day or (if it s Sunday) the day after. 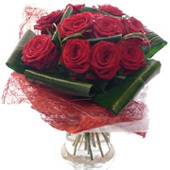 So, please be patient till we get confirmation from local florist and inform you about the status of your order. Or you may also check your online account information where you may find order status information. 8. Please note that jewelry delivery is possible ONLY to Russia! We do not delivery jewelry to FSU countries due to the new customs regularities when we cant guarantee the safeness of the precious items. 11. Each destination may have delivery factor that depends upon the local economical situation, sever climate conditions or difficulties to be reached. 13. You may cancel your order 24 hours in advance before the delivery should be processed by the service. Please, notify the administrator either by e-mail, fax or phone. Please, check the reply that will confirm that the delivery is cancelled. 14. 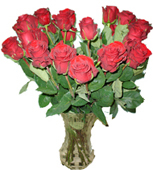 If you order a picture of the recipient with your flowers, note that it may take up to 7 business days to get by e-mail. Not all the local representatives make pictures with digital cameras. So, we need time to develop it, scan and send it to you. You may always request the original of the picture by regular mail, delivery time will depend upon the type of mail you choose.